Swiss photographer Tom Haller has gained wide recognition for his work in portraiture and reportage. Less well known, but equally arresting, are the landscapes Haller has produced during his travels throughout the United States over the course of nearly three decades. His photographs of America—of prairies, mountains, roads and the buildings lining them, motels, stadiums, shops, and abandoned cars—display a traveler’s detached, inquisitive, perspective, with Haller directing his gaze at subjects while simultaneously depicting both the promise of these landscapes and the limits to the dreams they inspire. 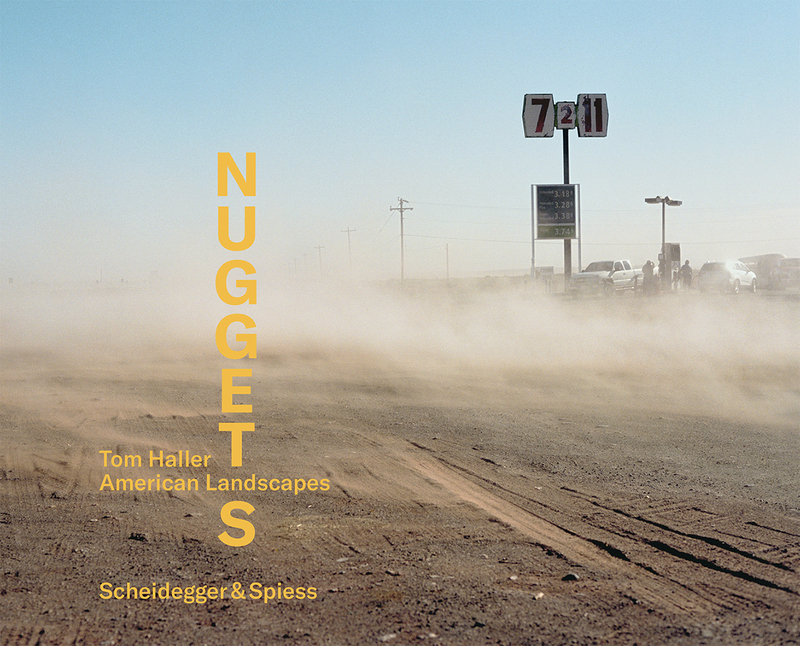 Tom Haller—Nuggets compiles a selection of his American landscapes that reflect the state of the country and the feelings and experiences of its people. Taking Haller’s images as his starting point, Christian Seiler draws on his own extensive travels throughout the United States to explore the artist’s intentions and the mood of the country as a whole.